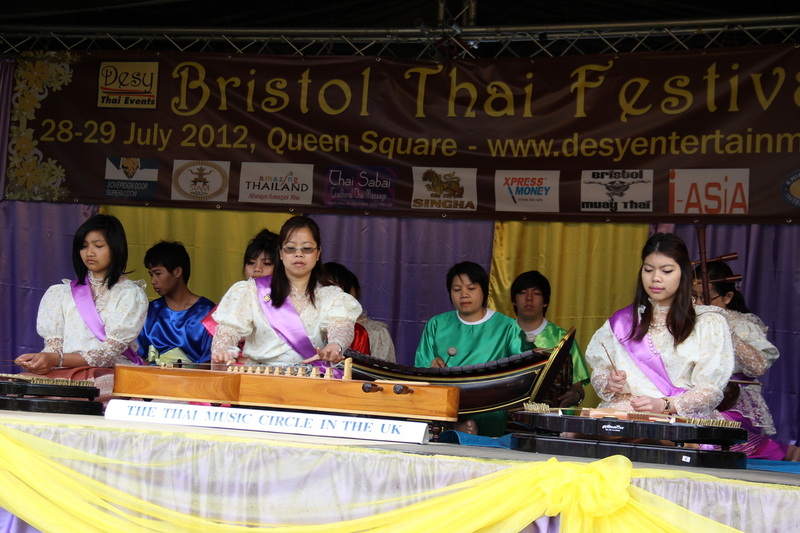 Bristol Thai Festival wanted to go green and what it stands for, especially for the Bristol 2015 European Green Capital year. 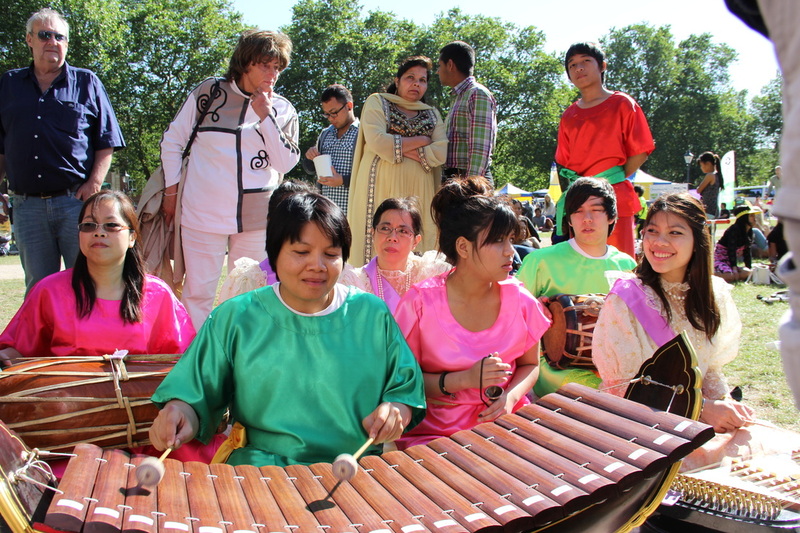 Let's Go green and travel by bus, bike or boat to see us in Queen Square! 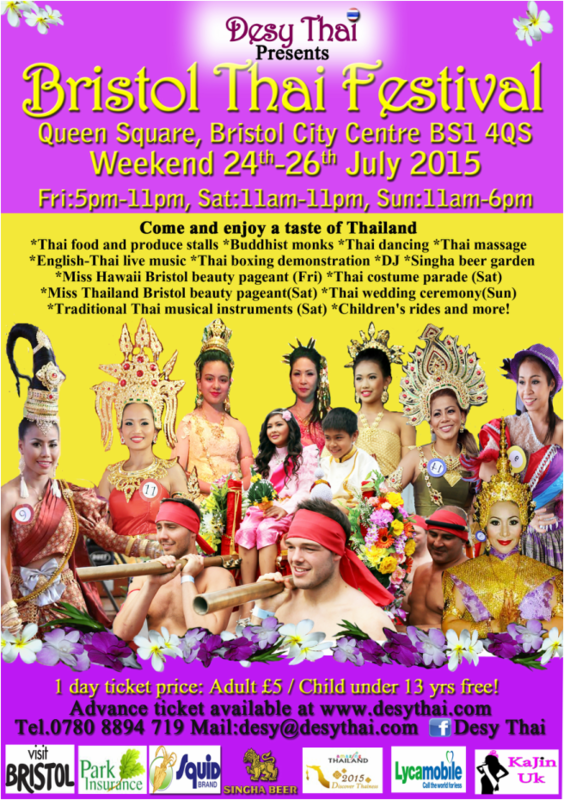 Bristol Thai Festival is held on 24-26 July at Queen Square ,Bristol BS1 4QS. We encourage all our visitors to travel as sustainably as possible. Queen Square is easily accessible by many different modes of transport. Accessibility - Queen Square is accessible by road, the surrounding streets are cobblestone with hardstanding pathways surrounding and criss-crossing the square. The tip is are on grass and are wheelchair accessible throughout with no steps. Wheelchair accessible toilets are available. Disabled parking spaces are available around the perimeter of the square. See www.travelwest.info for information on all modes of transport in and around Bristol. Bristol Temple Meads railway station is a 15 minute walk to Queen Square or there are regular buses and taxis from outside the station into the City Centre. There is also a ferry which runs from the railway station into the City Centre. Marlborough Street Bus Station is a 20 minute walk away. By Foot Queen Square is located on the heart of Bristol city near King Street which is a quick 5 minute walk from the City Centre. Walking from the centre towards the harbourside bear left onto Prince Street take the first left onto King Street and you will find us on the left just half way down the street. There are bike racks available on King Street and also Prince Street. Bristol Ferry Boat Company run regular ferries from Hotwells and Bristol Temple Meads railway station to the City centre all year round and 7 days a week. Coming from the M32 onto the A4032 following signs to the City Centre you will reach traffic signals on the A4044, here, turn right onto Bond Street still following signs to the City Centre. At the St James Barton roundabout take the first exit signposted City Centre keep in the left hand lane, following the road around to the left onto Baldwin Street. When you get to the fourth set of traffic lights on this road turn right and follow the road around to the left onto Welshback, take the second right straight on to Little King Street, turn right again onto King William Avenue and finally turn right onto King Street. The M4 and M5 also lead into Bristol. There are good parking facilities in the surrounding area including, especuially at the NCP on Queen Charlotte Street where evening parking costs just £2.60 (rising to £3 on 1 May) until 11.59pm if you arrive after 6pm. Meter parking is also available on King Street and Queen Square. For more information on car parking, including parking options for minibuses and other large vehicles, please contact Bristol City Council parking services on 0117 922 2198. 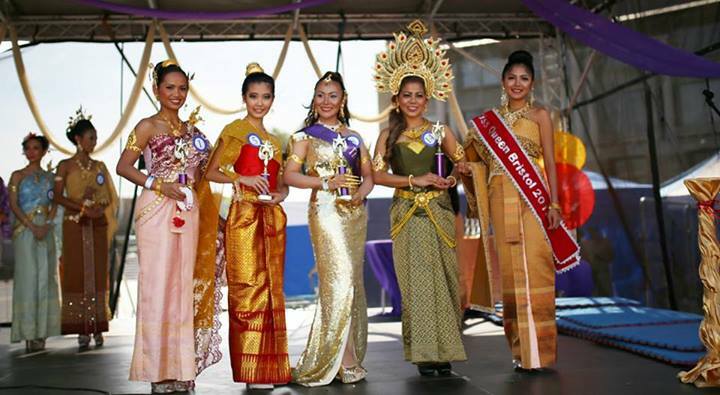 Thai classical music live show.